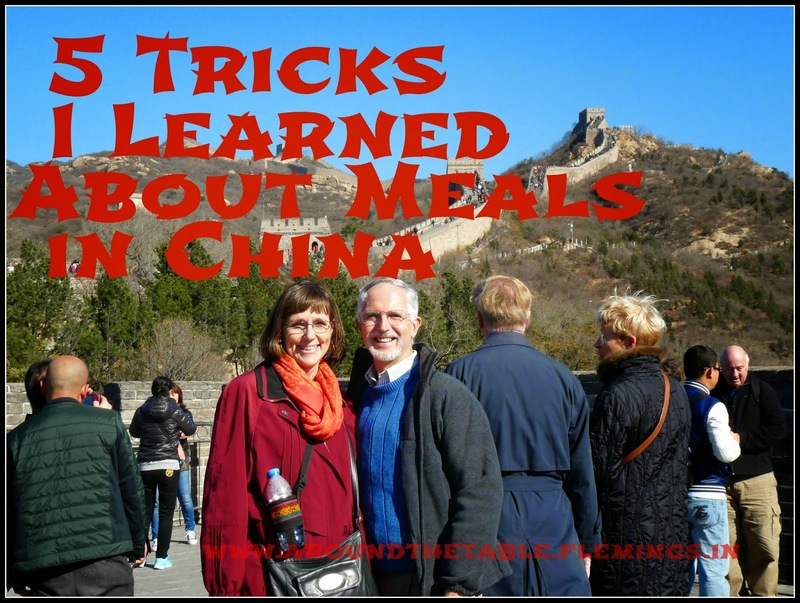 Around the Table Book: Five Tricks I Learned in China! Last month my husband and I had the enormous privilege of traveling around a large part of eastern China on a ministry trip. but most of what I saw, and all of what I ate, was delicious! 1. Soup is fun to eat... if you get to tear bread into your bowl first! We ate paomo, a Muslim soup of rice noodles, chopped greens, and beef or lamb. First, though, you have to tear up a dense piece of pita bread into the bowl. Then the server whisks it away to the kitchen with a number on the bowl and a number for you. About 5 minutes later it reappears full of broth and other goodies. It was fun to sit around the table and "break our bread" into the bowl before we ate. I think even the kids who dislike soup the most would have fun with this and there's something about wanting to eat something one had a part in making. One way to do this would be a "mexican" flavored soup that they break corn tortillas or tortilla chips into. 2. Ethnic experiences can mean easy clean up. With stir-fry there's no need for lots of different courses. Rice and the veggie-meat stir fry can be served at the table in two simple bowls. 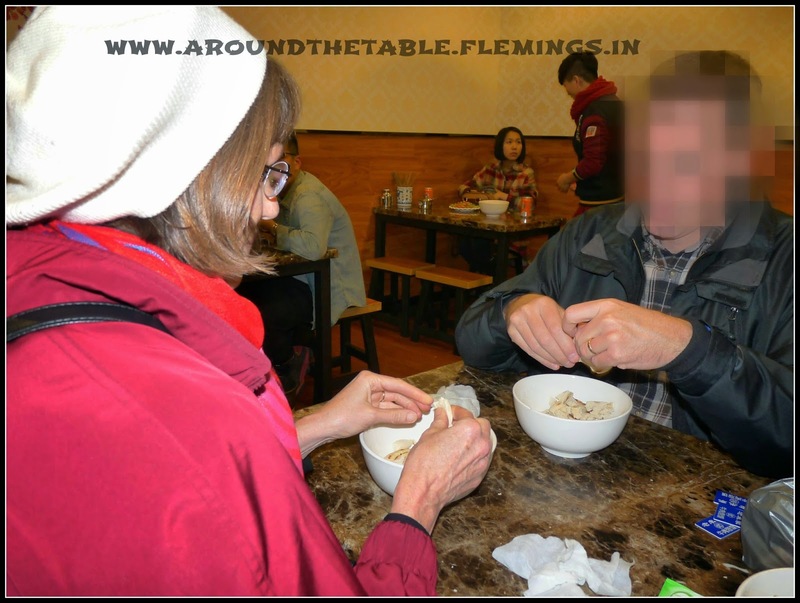 Add to the experience by learning to eat with chopsticks out of a rice bowl. The Chinese and Japanese bring their bowls close to their mouths to avoid dropping. What kid wouldn't love to try that? 3. Small plates and shared serving bowls make a meal intimate. Often we were brought multiple serving dishes and a little "side plate" sized plate for ourselves. We used one color pair of chopsticks for serving ourselves and a second for eating. (I admit that sometimes I got it mixed up.) Somehow having to sit close enough to reach the serving dishes to repeatedly serve yourself and eating little bits at a time off your plate make it easier to get to know the people around you. 4. A lazy Susan can make the meal an opportunity to build cooperation. At round tables, all the serving dishes were placed on lazy Susans so when you wanted something you didn't have to ask, you just starting moving it along toward you. But you had to look around first, because someone else might be in the process of serving themselves and you needed to wait until they were done to move your choice toward you. Kids might have too much fun with this! 5. Letting someone else choose the menu will get you to try new foods. 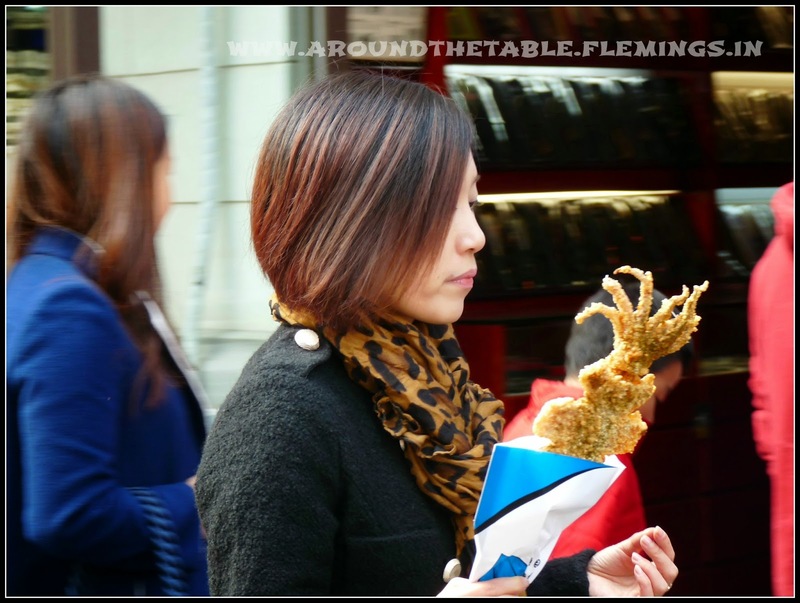 We can't read Chinese, and even if we could, we wouldn't have known what the various foods were. We always told our companions to choose the dishes--"We eat anything...so long as it's dead!" That way we had the opportunity to try a whole lot of different foods that we never would have known about. How can you do this in a family? Perhaps have a "choice" night once a week when one member gets to ask for the menu. Or invite someone over and ask them to teach you to cook one of their favorites. Extra points if you ask someone from a different culture or ethnicity! We had some fascinating non-food experiences in China as well, that I wish I could tell you about, but the Internet is not the place. (That's why some people's faces are blurred, too.) I'd love to tell your ladies' group about some of what God is doing there. Just invite me! Those were really interesting to read about. I love Asian food, so I was so curious to what you would say. I've never tried tearing the bread into my bowl first before putting soup in and I like the idea of making the meal more intimate with a family style meal; 2 new things! Thanks for sharing! Glad you got some ideas! We did a "Chinese" meal over Christmas with the whole family. Most of them tried chopsticks, too!